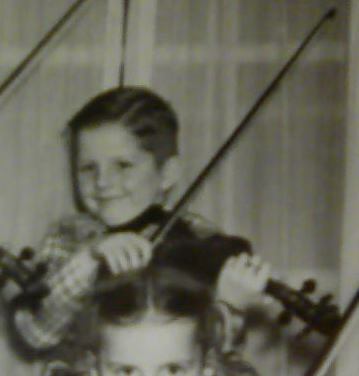 Christmas Eve marked my first ever public performance on violin when I played with my teacher and two of his other students at Midnight Mass. We accompanied several singers, a pianist and two trumpet players. We (the violinists) played on three songs: O Come All Ye Faithful, Silent Night and Joy to the World. Needless to say, I was quite nervous and made plenty of mistakes but it was fun nonetheless. Thought I'd share a video of excerpts from our performance. Very nice, Diane. If you made any mistakes, I certainly couldn't hear them. Oh looks like a lot of fun. Nice KS > Very nice!! Oh @KindaScratchy , Diane...so very awesome. I was moved deeply by your performance and the Midnight Mass. I have happy tears of Joy for this performance that means so much as I "know" you. Good Job and you look so beautiful as you always do. What a milestone. You are awesome sweet sweet violinist friend. You are a wonderful budding musician and a great example to all of us, practice, lessons, performance, participation... (New ones here at Fiddlerman, this is one of the many examples here of practice, persistence and staying in connected with fellow musicians here at the site). What a shiny star you are Diane!!!! Thanks, Toni @coolpinkone . You always say the nicest and most encouraging things. I'm very glad to have you as a violinist friend. And that goes for everyone else here. I can always count on my Fiddlerman friends for positive feedback. @Fiddlerman Pierre: the man crossing his legs is my teacher. As you can see, he's very laid back. Thanks everyone! I'm glad to have this milestone behind me and hope to have more opportunities to play in public...as nerve-wracking as it is, I think it's the only way to improve my playing. Looked like it was a lot of fun Merry Christmas and Happy New Year to you too. Great job Diane! And what a great opportunity to use your skills in a good way! Really nice Diane! You looked and sounded great up there. Clap, clap, clap. Great job Dianne. How exciting. There didn't seem to be many people there though. Was it just that they weren't in the video? Well, the church wasn't crowded, but it probably seems especially sparse because my husband shot those scenes of the altar, etc. before mass started. The church was mostly empty at the time. There weren't many musicians or choir members, either. You saw all of them except the guitar player. Wow, Diane! What a wonderful experience that must have been. It sounded beautiful. Woohoo Diane! did your international appearances on Fiddlerman group projects help your nerves in preparing for a live performance? Thank you for sharing. I'm curious if your teacher can play lying down in bed.